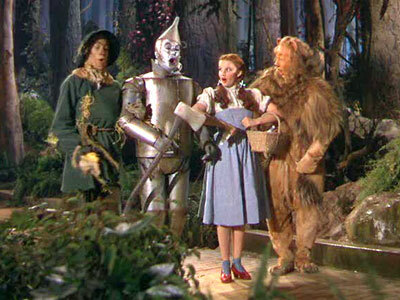 Its a little like Oz out there. If you’ve been home shopping here on Boise Real Estate Guy, no doubt you’ve probably seen terms like: Short Sale. And Foreclosure. And Bank Owned. And chances are also good that you’ve had questions about what those terms actually mean. And specifically, what do they mean to you as a consumer! Well, being the helpful guy I try to be, I thought we’d take a walk down the yellow brick road and clear some of these terms up! As a home buyer, there’s nothing “short” about a short sale. The term is actuallyÂ referringÂ to what the seller of the home is doing: selling their home short of what they owe to their lender! In other words, someone owns a home that’s worth less today than what they paid for it when they bought it. As you have probably concluded, that’s why you see so many “short sales” out on the market today! So what do you need to know about short sales? As a buyer, you need to realize that the home owner just can’t sell their home for less than its worth. The seller has to go to their lender and negotiate the loss! After all, someone is going to lose money. That negotiation can take a long time. Months in fact. All the while you are calling me day and night asking why nothings happened yet waiting to see if the bank is going to sign off on this sale. If you need to move into a house in the next 60 days, a short sale is not for you. If, on the other hand, you have a flexible time table, a short sale can be a greatÂ opportunityÂ to get a home priced near the bottom of the market. So why are some short sales listed as “contingent short sales”? A contingent short sale listing already has an accepted offer (between the buyer and seller) but is waiting for (or contingent upon) the bank’s approval of the agreement. The reason these homes still pop up in your search results is because short sales can take a long time and buyers may find something else suitable for them in the meantime, so the seller wants backup offers they can accept in the meantime. One thing to keep in mind is a contingent short sale listing might be very early in the negotiation process or it might be very late in the process. So they aren’t all created equal. Find out more about Short Sales by reading my article, What is a Short Sale Anyway? I hate the term foreclosure. Its the most misunderstood and over used term (read: marketed term) in real estate. Simply, a foreclosure is the legal process by which a lender re-possessesÂ the home of aÂ delinquent borrower.Â But as a home buyer, the only thing you need to know is that if a home is in foreclosure the bank is actively seeking to reposes it. Most short sales are “foreclosures” (read: in the process of being foreclosed on). All bank owned homes have are foreclosures (read: they have been foreclosed on). Find out more about foreclosures in the article, What is a Foreclosure? A bank owned home is a home that is owned by the lender. Or “the bank”. The home MAY have previously been a short sale (or a failed short sale more accurately). The home wasÂ certainlyÂ a foreclosure (as it has gone through the legal process of beingÂ repossessed!). Bank owned homes can be a greatÂ opportunityÂ for you as a home buyer to get a home that’s pricedÂ competitivelyÂ in the market. As you might suspect, banks want to be in the business of lending money, not selling homes. Are all bank owned homes the same? Absolutely not. Every bank has different rules andÂ restrictionsÂ on how they want their homes sold and marketed. That’s something important to keep in mind when looking through bank owned homes. Homes are sold “as-is”, meaning they won’t make any repairs. You also won’t get to look at a neatly filled out disclosure form, since the bank has likely never even seen the house! Owner occupant buyers get first crack, then investors (although we are already getting into the “mostly” true part of the list). To find out more about bank owned properties see my article (surprisingly titled), What is a Bank Owned Home? Lets talk if you are still confused! I’d be happy to help clear things up!